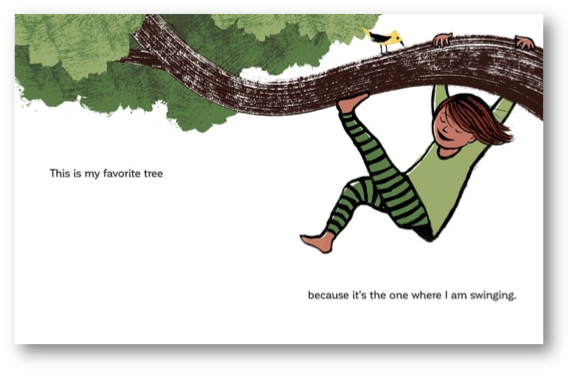 Each spread heavily features one color in particular and highlights what the young girl finds important: when we see green, it's because she is talking about her favorite tree, and when we see brown it's because she's talking about her favorite mud. Although the images are generally pretty flat, choosing to focus more on the color, Portis manages to insert beautiful instances of texture into her spreads. Against the stark-white backgrounds, those textures add a layer of depth to the illustrations that makes each image pop right off the page. 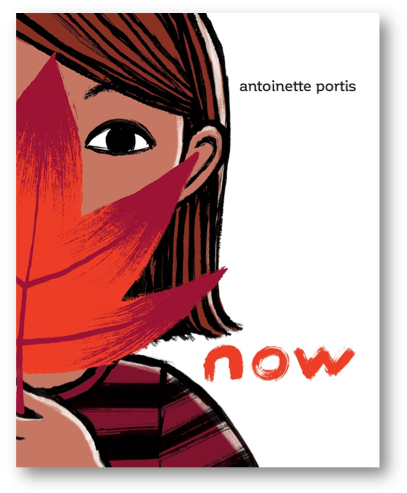 Portis is also careful to address the idea that one of the reasons to appreciate what we have is the simple fact that we can lose what we have in the blink of an eye. 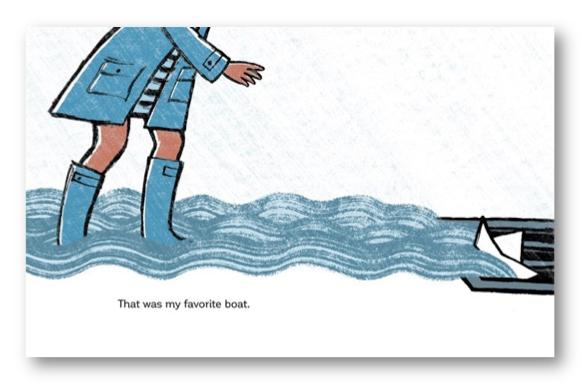 Most of the illustrations sit by themselves, though a few do connect: we see one of the girl talking about her favorite rain, and then on the next spread we see her lose her favorite favorite paper boat down a drain. Textually, it's just as beautifully done as the illustrations, with the young girl playing with the boat in the rain that "is [her] favorite rain" and the losing what "was [her] favorite boat." With a heightened emphasis, we see how quickly things come and go from our lives. Despite that loss, though, the young girl never dwells on those darker moments of loss, choosing instead to focus on what she has and embrace the good. It's just such a beautiful reminder to live in the moment, and accessible enough for children to enjoy, both visually and personally.